What makes for an all-around great playtest? Inspired by our Metatopia critique panel (co-run with Joshua A.C. Newman and Rachel E.S. Walton), I’ve compiled some thoughts about playtesting below. The first section is about how to be an awesome playtester. The second section is about how to run an awesome playtest. I hope these guidelines will serve as a useful jumping-off point in your future games! How to Be an Awesome Playtester! 1. Bring your best self. Before the playtest, assess whether you’re physically and emotionally up for the task. If you’re hungry, tired, sick, or having a bad day, try to fulfill your own needs before coming to the table. If you need to skip the playtest, skip it! 2. Ask what kind of feedback would be helpful. If you don’t know what type of feedback a designer is looking for, just ask! Once you have that answer, cater your feedback accordingly. If a designer is just hoping to playtest mechanics, avoid giving feedback about tone. If a designer wants to know if the game feels scary enough, limit your feedback to the spook factor. Remember that playtests can be mentally demanding, and they’re not always fun. If you’re feeling tense or impatient, take a deep breath and remind yourself that this isn’t a finished game. If this really isn’t the game for you, it’s okay to leave. 4. Save feedback until the end. Take notes as you play, and wait until the end of the game to share your feedback. It’s important to play through the whole game to get a sense of scope, and stopping every few minutes for critique will ruin the flow. With that said, it’s important to ask for clarification when something is unclear. Questions like, “Wait, what am I supposed to do during this turn?” or “How do I decide which card to put down?” are valuable to a designer. 5. Play the game, but don’t try to design it. Do not give rule suggestions unless asked for them. Your design solution may be something the designer has already tried, and even if it isn’t, these conversations can quickly slow a playtest to a halt. It’s okay to say that a certain mechanic felt clunky or confusing to you, but leave it to the designer to fix it. 6. Play the game as it’s meant to be played. Don’t try to root out the edge cases, fractures, and loopholes. Don’t act adversarial or obtuse in order to test the game. Play it straight. Let yourself get swept away! A designer needs to see when and where you’re having fun just as much as they need to see when and where you’re struggling. Your sincere engagement with the game will be enormously helpful to the designer. 7. Start and end with something positive. After the game ends, begin your feedback with something positive. This sets a good tone for the entire table and shows the designer you appreciate their efforts. Don’t let broken mechanics get in the way of your appreciation of the game’s goals, themes, presentation, or setting. 8. Speak to your own experience. After the game, say what you thought was awesome, what felt like it needed work, and what you found confusing. Speak for yourself, and never argue against someone else’s experience of the game. Don’t speak to the experience of an imagined player, meaning don’t try to find rules that might be confusing, or that someone might find boring. If they worked for you, that’s what the designer needs to see. Specific, qualitative feedback is always more useful than general feedback. “The rules are good but still need work” isn’t very actionable. Try to figure out exactly what was working or not working for you. Did character creation feel too slow to you? At what point did it feel slow? What were your expectations about the speed? What happened as a result of the slowdown? Make sure to ask about what’s okay to photograph and what isn’t, and make sure everyone’s okay with where you’ll be sharing photos. This goes for audio and video recording as well. If you can, silence your phone and keep it stashed away. Be good to the people around you, don’t interrupt, and remember that someone has put a lot of time and hard work into this game. How to Run an Awesome Playtest! Are you stressed? Tired? Anxious from staying up all night rewriting rules? Playtesters will be looking to you to set the tone, so muster up your enthusiasm! If you’re sick or exhausted, you’re not going to get what you need out of this playtest. Reschedule and try again soon! Disparaging your own work is a surefire way to set the wrong tone. Remember that this is a playtest; it’s not a glossy, finished product and the people at the table are here to offer you support. Players need to feel like you’re up to the task and able to accept critique, so present your game with confidence! 2. Offer snacks and breaks. If you can, bring sustaining snacks and water. A grumpy playtester is sometimes just a hungry playtester. If you know who’s coming to the game, ask about dietary needs in advance. If you’re playing with strangers, avoid bringing major allergens (like peanuts) into a small room. Even if you’re on a tight schedule, everyone needs stretch breaks and pee breaks. Let playtesters know you’ll be breaking at the 1 or 2 hour mark, and make sure folks feel comfortable leaving the room if they need a break in-between. 3. Say what kind of feedback would be helpful. Think ahead about the type of feedback you’re looking for and write down some questions for playtesters. It’s okay to ask for as much or as little as you want in the way of brainstorming, critique, or suggestions. If you’re not ready for heavy critique, you can say, “Just tell me what’s working!” If you want to test a specific mechanic, make sure playtesters know that that’s the focus. You don’t have to use every bit of feedback, and some feedback might be wrong for your game. If someone says your horror game should be played for laughs, you can thank them for the suggestion and move on. You don’t need to defend your game or entertain conversations you don’t want to have. Watch what players are doing, the choices they’re making, and how they’re responding to the rules. Carefully observing where people are laughing and delighted, or where they’re bored or uncertain, is some of the most valuable feedback you can get. In-depth, analytical feedback is great, but if you’re paying close attention, you can get a lot of what you need from observation. 5. Keep the game flowing. It’s okay to accept questions when things are confusing, but save longer feedback conversations until the end. Feel free to redirect the focus if you see a quick question turning into a critique. It can be overwhelming to run a playtest for the first time. You’ll get hit with a wall of feedback, and you may wonder how you’re possibly going to incorporate it all into the game. The answer? DON’T! It’s important to playtest multiple times to learn where feedback overlaps, and to find themes in the type of feedback you’re getting. If ten different playtesters loved the ridiculous monsters, you don’t want to throw them out for the one person who thought they were too over the top. There’s no such thing as a universal audience, so don’t try to make a game that will be universally adored. In general, it’s best not to respond to critique. Just say “thank you” and write it down to consider later. Don’t let yourself get defensive about your game. You don’t need to explain your intentions. Be careful of questions from playtesters like “Why do you think we need another zombie game?” These can sidetrack the conversation and may leave other players in the room behind. It’s okay to redirect back to the kind of feedback that will be useful to you. These are conversations you can have one-on-one later if you’re interested, but they usually don’t belong in a playtest. If you’re feeling nervous about your playtest, invite a non-player buddy who can monitor the table, refill the snack bowl, and offer support as needed. If you want to focus on running the game instead of feverishly taking notes, ask your friend to write down player comments and reactions throughout the game. 9. Remember, you’re in control. If a playtest is going in the wrong direction, you can pause the game and talk to players about refocusing or changing course. You also have the power to end the playtest early. It may feel disappointing, but there’s valuable information in watching things go wrong, and it’s okay to return to the drawing board. 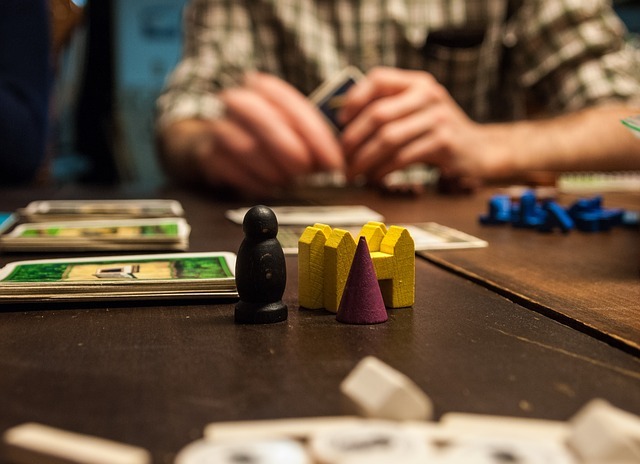 If players are excited to try the next iteration of the game, get out your calendars and schedule the next playtest before anyone leaves the room. It’s much harder to schedule after the fact by phone or email, so strike while the iron is hot to ensure a second (or third!) playtest. Make sure people have a way to contact you if they have feedback they’d like to share later, or if they’d like to talk one-on-one. And finally, remember to give your playtesters a big THANK YOU! How to Give Feedback (Dropbox PDF) – Graham W.
Want a printer-friendly version of this guide to share at your next playtest? Here’s a link to a downloadable PDF (Dropbox). Thanks to Evan Rowland, Moyra Turkington, Rebecca Slitt, Sarah Richardson, Rachel E.S. Walton, Joshua A.C. Newman, J Li, and Marshall Miller for awesome input and thoughtful suggestions.